WASHINGTON — America’s top military official in Europe called the use of a chemical weapon to assassinate a former spy in the United Kingdom “amazing,” and said it “underscores” the lengths Russia will go to achieve its objectives. 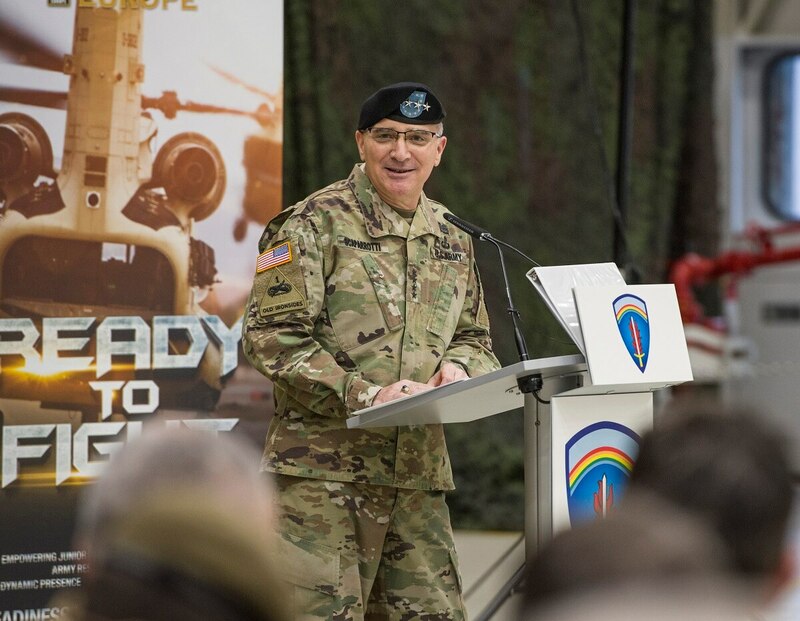 Gen. Curtis Scaparrotti, head of U.S. European Command and the Supreme Allied Commander of NATO, told reporters at the Pentagon Tuesday that it is “likely” Russia is behind the attack, and acknowledged the alliance is “struggling” to figure out how to respond given the nature of the situation. On March 4, a former double-agent named Sergei Skripal and his daughter were found poisoned in their Salisbury, England home. The weapon used against them has been identified as Novichok, a chemical agent developed under the old USSR. Asked whether this was the first use of the nerve agent in Europe, Scaparrotti said he didn’t know offhand. But he said the use raises questions about Russia’s adherence to chemical weapon treaties — and if this was not a government-ordered killing, about Russia’s chemical weapons security. More broadly, Scaparrotti said the alliance is “struggling” with how to respond, because while the U.K. and its NATO allies believe Moscow is behind the attack, it is unclear how a large-scale military alliance like NATO should act given the relatively small scale of the actions. In some ways, it’s the non-nuclear version of Russia’s “escalate to deescalate” theory, in which Russia would be able to use low-yield nuclear weapons and leave NATO only two options — to not respond, or to respond with a full-scale strategic assault that would launch a world nuclear war. As a result, NATO has started wargaming out some scenarios in order to try and be prepared for the next unconventional scenario.